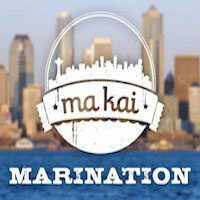 Please join us for a delicious fundraiser at Marination Ma Kai. 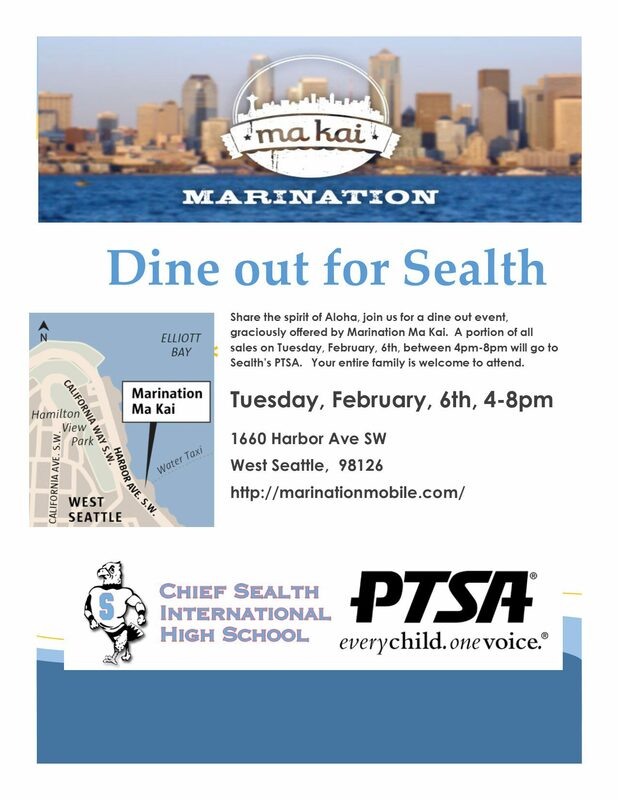 A portion of each sale on Tuesday Feb. 6th, from 4-8pm will go to Sealth! 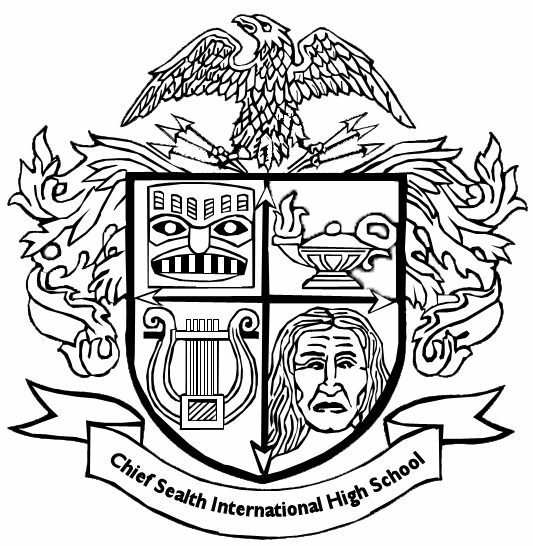 Celebrate 60 years of Chief Sealth High School, from 1957-2017. 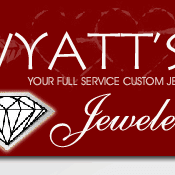 Our 9th Annual Auction is November 18th, 5:30 at the Brockey Center. Early Bird Ticket Sales on NOW, just $50, Price increases to $60 after Oct. 31st. We have a wonderful night planned. There are Disneyland Passes and Hotel accommodations up for bid in our live auction, our amazing signature cocktail, an outstanding evening of musical entertainment provided by our CSI Jazz & Orchestra students, delicious food, and it’s all for the children. 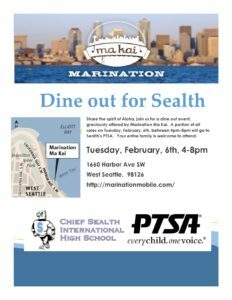 Besides having a great night of food, cocktails, and community, we hold an auction to raise money for our three main support groups at Chief Sealth International High School. Here are some of the ways the PTSA, Denny/Sealth Performing Arts and Athletics put your money to good use for our students. Supported the Science, Math, Language Arts, Social Studies, Fine Arts, IB & Academy Prog. 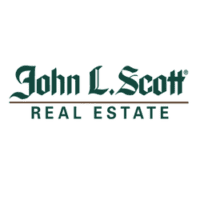 with financial reimbursements of up to $400 per department. Provided financial and volunteer support for the Closet and other various Social Services at the school. Gave funds to the Model UN club to participate in the U of W conference. Provided funds for instrument, equipment and music purchases for the band, orchestra and choir programs at Denny and Sealth. Paid to bring world renowned musicians and instructors Ron and Bryan Carter out to teach clinics to the Denny and Sealth Jazz programs and to perform for the Denny and Sealth community. 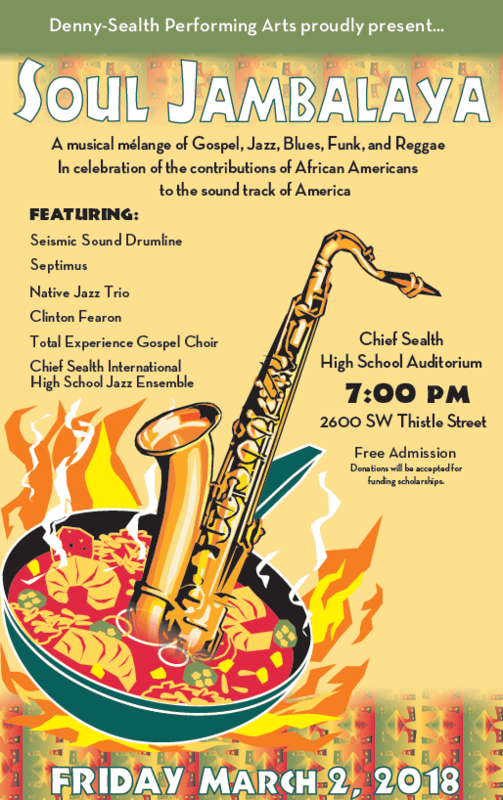 Provided scholarship money to send a Sealth student to UW summer drum major camp. The Sealth Community has been invited to join in our sister schools annual PTSA meeting on Cyber Safety, March 21st, 7pm in the Denny library. Next Sealth General Membership meeting is in May. This is an important one. New officers will be elected, the 2018-19 Budget will be purposed and additional standing rules will be introduced and voted upon. -My wish list is to have 150 graphed notebooks for my students. It could be Composition Graphed Notebook or Spiral Graphed Notebook any one is fine. -Bulletin board trim in simple colors of white, red, blue or black – solid colors, shape: wavy or straight doesn’t matter. -String to hang “shirts” with info on them students could take off the board. -Also some decorations for the ceiling, like hanging tissue paper fans, puffballs or lanterns in school colors or white or grey. Two chairs and a coffee table, a long table with two chrome books, locks for the Chromebooks, and a book shelf for us to print out scholarship applications. Donations can be dropped off at the school during the weekday. Immersion program in Spanish @ CSIHS. Below if my Teacher wish list. *Tri-Fold Presentation Boards (20pcs) for test taking privacy. *Really Useful Boxes- 0.55 liter Pencil Cases (16 boxes) for storing colored pencils so each student can have a full set of colored pencils. *Command Large Utility Hook White (9 hooks) for hanging hand towels near the sinks and saving us from using paper towels. -Composition Notebooks – 60. I would like to have my students journal this year. Graphing Calculators! Our math department would LOVE enough Texas Instruments TI-84 C Plus Silver Edition “Yellow School Bus” calculators (that are recharable) to have all math classrooms equipped with classroom sets (32 each). We need 165 more calculators if we are to achieve our goal. They go a long way in helping our students succeed. Buy one! Buy a bunch!! They are a big ticket item, so any help is appreciated. 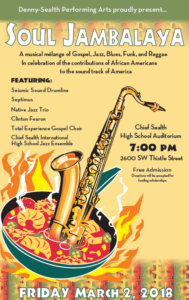 Contact Faith McCluskey at 252-8625 or email at fmmccluskey@seattleschools.org. 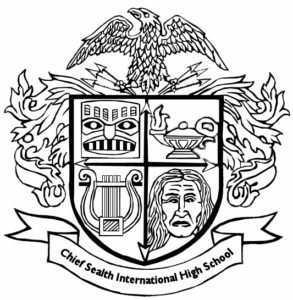 It’s almost back to school time and the Chief Sealth International High School can use your help. We’re looking for donations of new or gently used clothing for our Clothing Closet which provides clothing, toiletries and school supplies for students with low incomes. Donations can be dropped off at the school during the weekday. Or please contact us at chiefsealthptsa@gmail.com for other arrangements. Thanks to our great West Seattle community that has provided us with so much good stuff and cash donations! Students appreciate and are greatly touched by your generosity. Sometimes knowing that there are people out there that care about them is as valuable to our students as the things they get from the Clothing Closet.